The dark red cherries dangling from coffee plants during harvest season are recognizable worldwide, but in order for these cherries to grow every year, they must first flower. 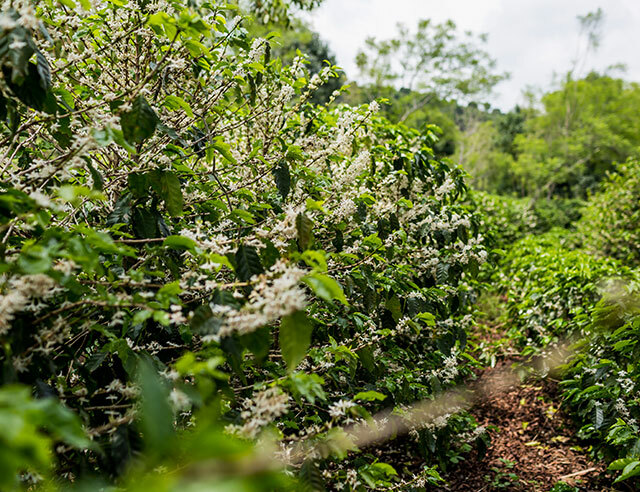 This year’s plants have already bloomed, but we visited Costa Rica’s best coffee regions to capture the atmosphere so that you wouldn’t miss out. In the eighteenth century, botanist Carl Von Linnaeus did the coffee loving world a great favor by studying coffee beans and classifying them within the genus Coffea family. Originally, coffee had been misclassified as belonging to the jasmine family, which made it difficult to understand proper growing processes. The most basic part of a coffee plant is the coffee bean, which is actually a seed. Inside the seed is a colorful pit (usually a reddish or purple color) called the cherry. 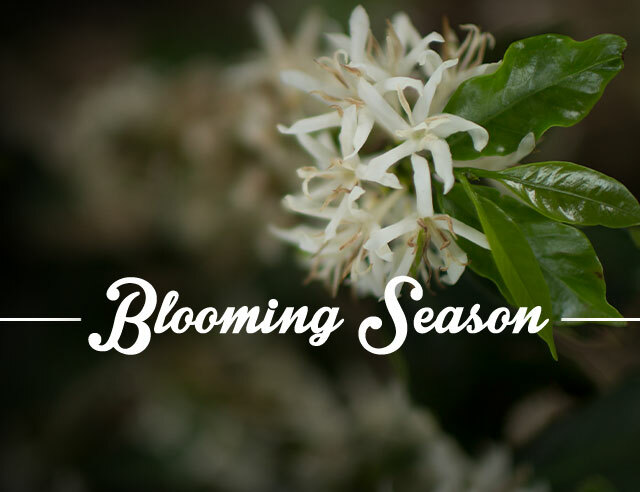 As avid coffee drinkers, it’s easy to focus mostly on the bean, but in order for a coffee plant to continue producing each year, flowering needs to occur. The lifespan of the plant and climate, particularly the amount of rain the region receives, determines how well a plant will flower, and the quality of beans it will produce. 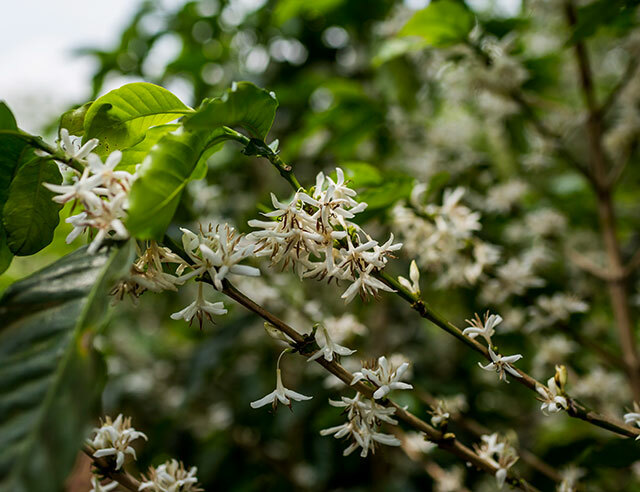 Between April and May coffee plants begin to produce beautiful flowers of a light white color, closely resembling jasmine. The lovely smell of the flowers fills the coffee regions of Costa Rica with a pleasant smell. For the flowers to grow, a heavy rainfall needs to take place. After the first downpour, buds will begin blossoming within about two weeks. Once the flowers begin blooming, workers leave the fields. Because blooming is a delicate process and absolutely essential the health of the plant, no one enters the fields during this time. 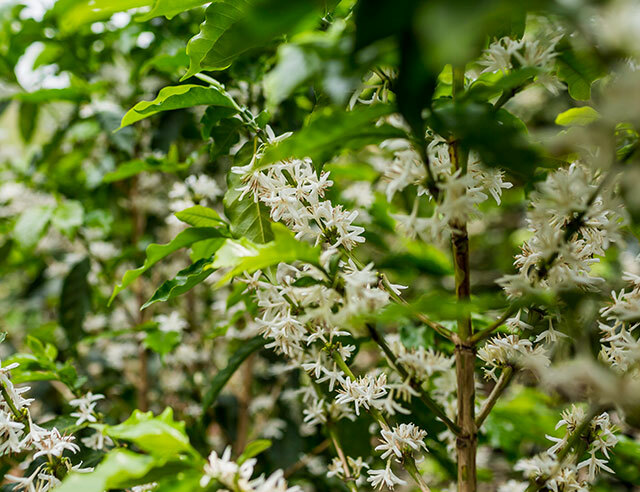 Each blooming flower is a symbol of the coffee bean to come in later months. Ideally, around 1,600-1,800 millimeters of rain in a season will produce Arabica. The perfect rainfall can lead each coffee tree to have up to 40,000 flowers. 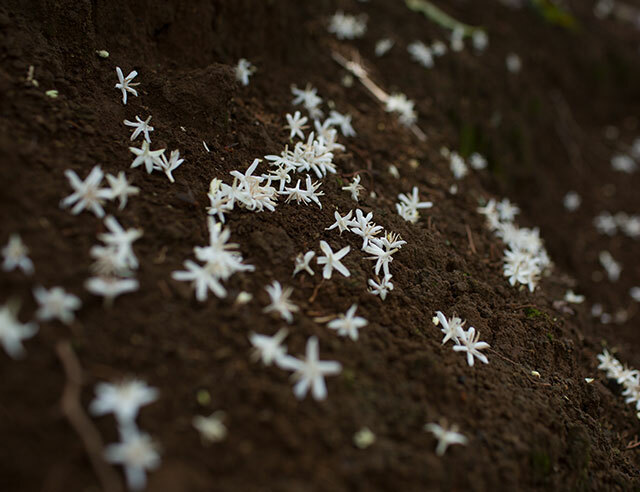 About a month after the flowers appear, they will begin falling to the ground, right around the time their strong aroma becomes almost too much to bear. Left behind after the flowers fall is the carpel, which will eventually mature into a coffee cherry. The self-pollinating coffee plants nurture this cherry until it is a ripe bean ready to be roasted for your morning cup of coffee, and the flowering process begins all over again.